If you believe travel contributes to personal growth then you may grok with the idea that travel satisfies a yearning and search for identity, a lifelong and never ending quest. What aspects of travel are educational, what aspects aspiration or inspiration? For me, a highly satisfying stage in any journey starts with planning, extracting as much joy as possible from the entire experience. Solo travel has become a hot topic of late. When given the choice though, let's be honest, who truly prefers to travel alone or with strangers? Destination travel to mark life cycle events, a multi-generational cruise or a plan to convene for a family reunion may hit the mark. You may even be reading this, contemplating your next destination, culling information to share with kith and kin. Cooking for family and friends, choosing recipes from a storied regional cuisine with its high quality wines - Sicily in this case - is a fine start. With this in mind farro di zuppa is a great use for a meaty ham bone left from the winter holidays on a blustery day in Los Angeles, perfect to hunker down with for Sunday supper. The soup mix was purchased from an independently owned one location institution of foodie-ism in Santa Monica, California, Bay Cities Italian Deli. Perusing the deli case, another Sicilian specialty was procured, caponata, a melange of tomato, eggplant and sweet red peppers is a readymade appetizer delicious with their fresh baked bread. What a treat while the soup is warming. Added to the mix was their signature sandwich, the 'Godmother,' a cold cut sandwich with heat, when ordered 'the works' style. Staying true to the regional theme, a half used bottle of wine from Planeta poured into the kettle to simmer. In that moment I was transported to Planeta's center for agriturismo where the grapes originated, imagined in my mind by the website. The left over wine was from a, "Calling all Italian Americans Dinner Party," a few nights before in which Sicilian style baked cod topped with garlicky potato paste was the main course. While cooking, a glass from Baglio del Cristo di Campobello Laluci is as nice to say as it is to drink. The Morgante Nero D'Avola and Dona Fugata Sedara are lovely well priced reds that stand up to a hearty fish such as cod. The wines that went over so well in Los Angeles went over just as well in Tucson where the Sicilian American extended family of snow birds from Wisconsin congregates annually. Invariably, talk of the collective dream about a trip to the old country to track down the Italian origin story emerged. This year we decided to only drink wines from grapes indigenous to Sicily - Grillo for the white and Nero d'Avola for the red. 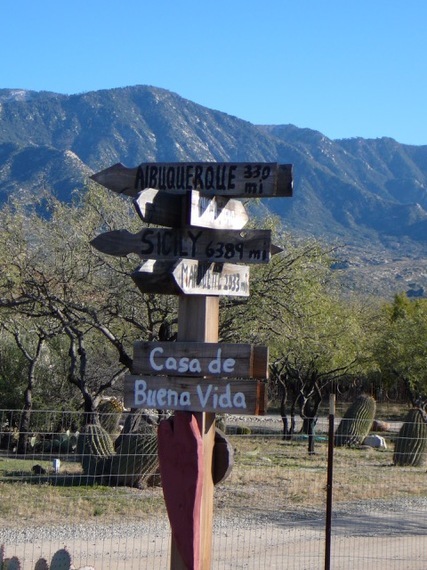 On one of our group hikes, the cousin, Matt Bernhardt who has a keen interest in genealogy, noted the prickly pear cactus that dots the landscape is similar to Sicily. Turns out this is the result of a reverse migration. 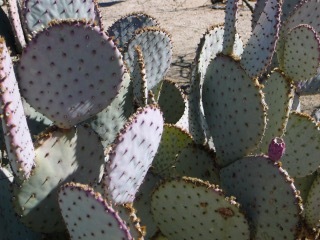 The Spanish first introduced these cacti to Sicily from its native Mexico, a short jog over the U.S. border from Arizona. Today, Sicily is the world's second largest producer of their fruit ficudinnia, as they are known locally. The island of Sicily is situated in the middle of the Mediterranean Sea and often is referred to as one of the original, ancient melting pots as a multi-ethnic crossroads between Europe, Africa and the Middle East. 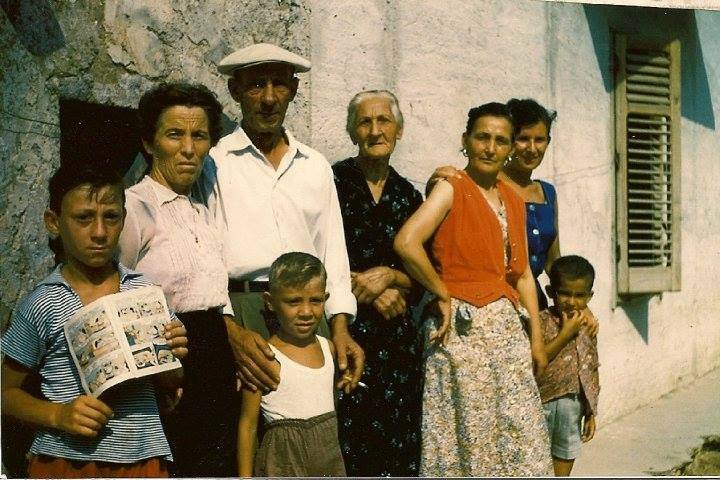 Bits and pieces are known about the La Brasca immigration, entering by sea from Albania in the 1500's, not all that different from today. The La Brascas landed in Cefalu and migrated again to the hills above Palermo where they became orchardists and fruit merchants growing it into a fruit exporting business marketed in Paris, France which operates today. Sicily in 2017 or bust, we have decided. Now we just have to stick to this tune. What qualifies a person as an Italian American? Can tokenism be a positive? Does having an Italian last name, even if it's a hyphenated married name, does this make you more Italian than let's say than someone whose life was changed by reading, "Eat, Pray, Love," in college? Does having one parent marrying into an Italian American family here for three generations count for something? What is an Italophile? If I had to eat one type of cuisine day in day out for the rest of my life, it would probably be Italian. If I had to choose design products from apparel to home fashions from one nation, it would probably be Italy. The region of Italy to visit on my bucket list is Sicily, partly because my daughter carries a Sicilian last name, and partly because it has an exotic and unique appeal. I know I'll get to Lake Cuomo someday and back to Venice, Tuscany and the Amalfi coast, but for now I am stuck with a vision of staying on a vineyard with an inn with my big Italian American family. We would need a place to stay with enough variety of accommodations for those who want the creature comforts of a roof and four walls. Personally, when I'm in the countryside, I have a yen for glamping or fancy camping. Don't get me wrong, I love a good hotel. Connecting with terrain in nature, but not having to work hard pitching a tent, is my idea of bliss. Safari-style vacations help me unplug from the hustle bustle of daily life and grow in spirit. I promise to check back with a new post when I get there. 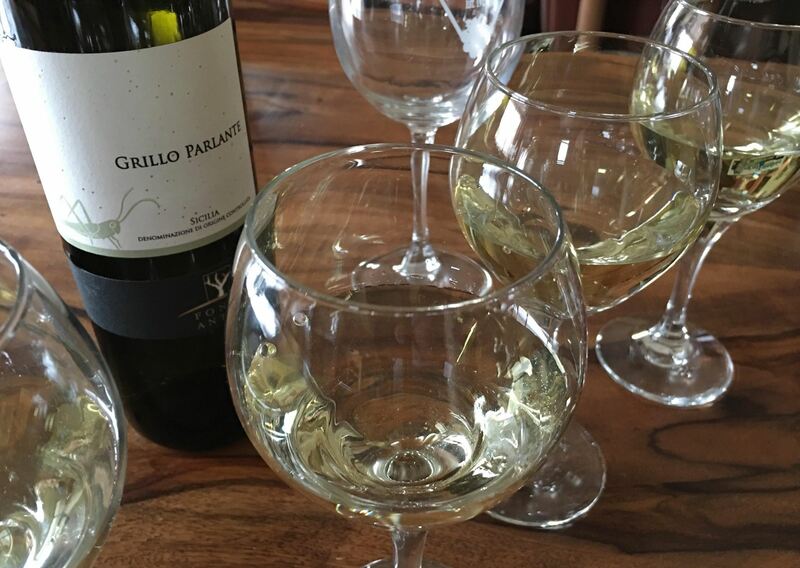 In the meantime, the last of the Fondo Antico Grillo Parlante will be paired with the zuppa di farro for tonight's dining pleasure and fellow appreciators of many things Italian.